In an attempt to tackle writer's block, the absolute bane of my existence, I've seemed to adopt a new process of post writing; one that involves a certain amount of planning and a disproportionate amount of procrastinating. Now that I've overcome a period where nights were spent on the comfort of the couch, binge-watching favourite TV shows in an attempt to ignore the number of reviews that need to be written, I thought I would share how an idea of mine goes from notebook page to post(in a few aptly-named steps). I did draw some doodles in the margin of the page when drafting-out this post; not quite able to resist smiling to myself when admiring a drawing of a lightbulb (to illustrate a 'brainstorm'). Sometimes, I'll be curled up writing in a notepad or browsing the latest news online and an idea for a post will come to mind. It could be when I'm participating in a Twitter chat or when I catch a random snippet of conversation whilst out with friends. A current world issue or a simply a comment can form the foundations of a new feature for the blog, or give me the basis for a quick post that can be pieced together in a few hours. When considering some of the posts I have written in the past, it can be surprising to pin-point what, exactly, made me want to write it in the first place. The planning process I follow usually comprises of a few hours, a whole evening set-aside, where I'll just write a list of possible post titles or discussion topics. Never is much thought given to what I will actually write. There will be almost a page crammed with ideas for what an upcoming blog post could include - but no real content at this point. I've realised it can take weeks for me to return to one of these ideas; that single spark of inspiration may not ever result in a full-length post. This tends to take the form of another bullet-pointed list or mind-map, and I begin with the post title or question(if writing a discussion post). I have a bound blue notepad that I have adopted as a blog-book, and this is where all the planning takes place. Inside, the pages are crammed with incoherent notes that - at a later stage - I have to attempt to decipher. Brainstorms can be a few bullet-points, a basic outline of what I will write about in each paragraph, or a mind map branching out onto multiple other pages. It's a creative mess - but I love it. At times, I'll scribble down some sentences or phrases that I know I want to include in a rushed list, a form of planning I favour when it comes to discussions. I've found that writing out an outline of the first paragraph is also perfect when planning, as when you sit down to write the post, that first line is almost set-in-stone. Personally, I find a blank page a daunting sight, and knowing the first sentence helps kick-start the post as a whole. When I'm feeling productive, a brainstorm can manifest into an almost finished draft of the post(which is what happened when I sat down to plan this post). Or include a few rough doodles like a childhood diary. 'half-decent'). Unless a draft has already been written in its entirety, this can prove to be quite a difficult task. I can spend hours at this point re-writing sentences and perfecting paragraphs that, once read through, I delete regardless. At other times, I'll just become immersed in the writing of the post, and won't move from my desk until it is almost finished. I can be so desperate to just write at times that a whole post can come together in what seems like the spur-of-the-moment. Whilst typing, I will usually navigate between Twitter and the open draft, watching as the amount of unseen tweets slowly increases. Let's face it: procrastination is always part of post-writing. Once the clicking on the keypad comes to an end and a draft is done, the editing begins. This is the point in which I would take out a red-marker pen - if possible - and start striking out sentences and marking changes. My own inner-critic is ruthless. I'll admit post-writing always involve a huge amount of self-doubt, and I have to fight the urge to delete what I have spent hours working on. For reassurance, I will constantly hit the 'preview' button, checking that it at least looks presentable(...but then looks can be deceiving!). I have spent hours complaining about and correcting the grammar and spelling errors of others, so I try to make sure my own posts contain as few mistakes as possible! I was accustomed to hitting publish without checking through a blog post when I first began blogging, and now can't help but cringe when I read through those first book reviews. Even to avoid embarrassment, I find it impossible to edit the mistakes I mad; it's cringe-worthy, but I might be a little nostalgic! If I'm piecing-together a book haul, I would have probably begun by taking all the pictures I needed, attempting to colour-match covers or to find the correct lighting. Before I even start to write the post, I will check through the pictures I have taken, not wanting to find a collection of blurred-images later on. Having forgotten to change the camera setting in the past, there have been times I've abandoned a haul! Before a post is published, links such as those to an author's website(if it's a review) or images of a book I've featured are added. Then there's also the labels, to add the slightest bit of organisation, and the likes of the title. In fact, the one thing I've always struggled with is knowing how to end a post. Do I sign off with my name? Do I ask readers a question - trying to generate some discussion in the comments? Return to the sparkly Sophie name tag I used in those early days? What does your post writing process involve? The concept of Happily Ever After is simply viewed as a childlike fantasy; one of the connotations of all fairytales that have ever been put from pen to paper. It is the promise that, what opens up with so many possibilities for the characters, can end with the same endless list of opportunities. It is the statement that, when we were younger, allowed us to turn that final page, satisfied that the characters will not see similar events unfold again. It was what first introduced us to the idea of dreams; those that have manifested into the ambitions we have today. But, why can't the ideal our past favourite novels were based on continue when we are slightly older? Who says that happily ever-afters can't exist within the world of YA - without being deemed as unrealistic or clichéd? Why can't we, as fiction is a form of escapism, still enjoy an ending where the main characters - and their sidekicks - do survive? I'm not suggesting that we introduce a Prince Charming or Fairy Godmother to most YA novels. That, within the time-scale of a chapter, all of the characters' problems should be solved with the wave of a wand or true-love's kiss; that protagonists should all have the ability to slay, with their trusty swords, all creatures that might pose a threat, or stumble across a healing-potion that prevents any fictional deaths(Wouldn't it have been nice to see one appear in Allegiant?I know that's being a little idealistic. I'm not expecting all fictional relationships to last for eternity, or for those counting pennies to suddenly stumble across their fortune and live a life of luxury; for all children in the novel to remain trapped in their eternal youth, the concept of death simply ceasing to exist. As readers of YA, we've all come to terms with tragedy; come face-to-face with grief and guilt, death and despair. To put it bluntly: we've all read a John Green novel. And there no sugar-coating can be found. Both as those mature enough to handle the themes that are written about in YA and those who are aware of some of the issues that threaten the population at large, we know that - outside of our bedroom walls - the world is not a place for the faint-hearted. We are not oblivious enough to see that the happily ever-afters we used to read about are far-fetched, or to realise that - it is impossible to achieve the 'perfect' lifestyle we wish to have. From reading YA, I've almost accepted that being a teenager is a synonym for tragedy; that it is the beginner of a tale crammed with cruel plot twists and turns. When there are endings that allow the characters a second chance, the common reaction - it seems - is to threaten to throw the book across the room and start criticising it. But I'm beginning to ask why I, and so many others, are tempted to do this. Sometimes, we need a little bit of hope. And, once in a while, it should be viewed as okay to show someone that all is not lost. 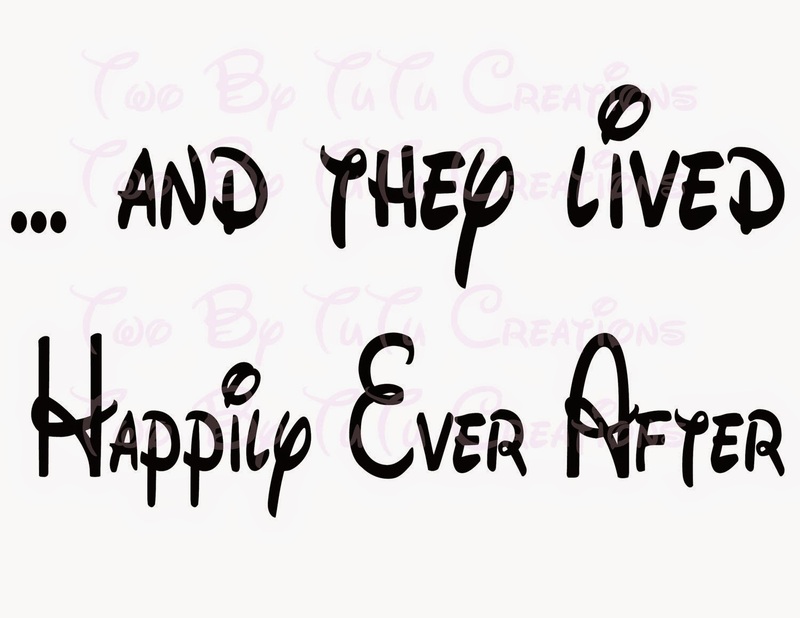 To, perhaps, indulge in the littlest of happily ever-afters. Not all YA novels need to end in destruction to be deemed as a 'realistic portrayal' of a certain issue or strive to be a 'tragic tale of love gone wrong'. Just because we are slightly older, it doesn't mean we can't read a book where the dreams of the main character do come true. Two characters, perhaps they become a couple at a point in the book, should both be able to make it to the end of a novel. Friendships that were strong at the beginning of a book should still involve heart-to-hearts and sleepovers at the end; best friends should remain as simply that. When lives are completely torn-apart, and the pieces scattered across the floor, they should be retrievable. In YA, there should be more happy ever-afters, and we should allow ourselves to become immersed in them. It's impossible to name a recent bestseller that does have one of these style endings. After all, books are our escape from the reality where they could - or could not - ever exist. Do you think we need to welcome more happily ever afters into YA? Or indulge in them like children do more often? 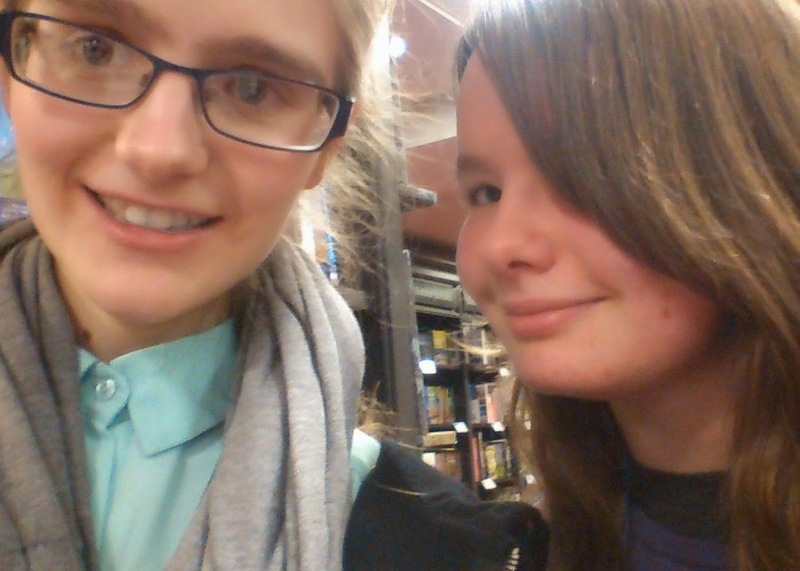 This past weekend, UKYA Extravaganza took place at Waterstones High Street in Birmingham, an event organised by Emma Pass and Kerry Drewery. 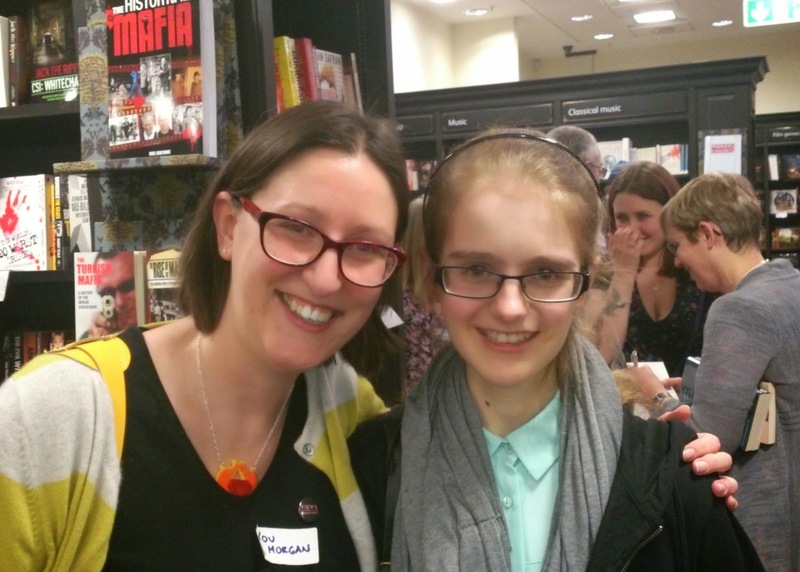 Over the past few weeks, a blog tour has been taking place as part of the countdown to the event - where I took part in a Q&A with Kate Ormand - the aim of which was to bring together the best UKYA has to offer. Unsurpringly, with over thirty YA authors in one bookstore, tickets had sold out for the event within twenty-four hours. As well as the promise of an afternoon in the same room as a bunch of bloggers and authors, Saturday involved a not-so-highly-anticipated three-hour car journey into Birmingham(a nightmare). I spent the time crammed between bags of books in the backseat, scrolling through social media, watching as people shared their own sense of excitement for the day ahead. I was acting in a way that resembled a seven year-old on Christmas Eve, with no idea what to expect under the tree(the weekend having been the first - but not the last - UKYAX). The event itself kick-started with authors being drawn from a hat, the initial plan for it to be a fire-round of sorts, the authors all given the chance to read an extract from their novel under timed conditions. Although, with most of us eager to approach the writers waiting at the back of the room, where there was also a table stacked with the latest titles to get signed and a selection of bookmarks, badges and posters that I was eyeing-up(I arrived home with quite the collection! ), the majority weren’t seated for long! 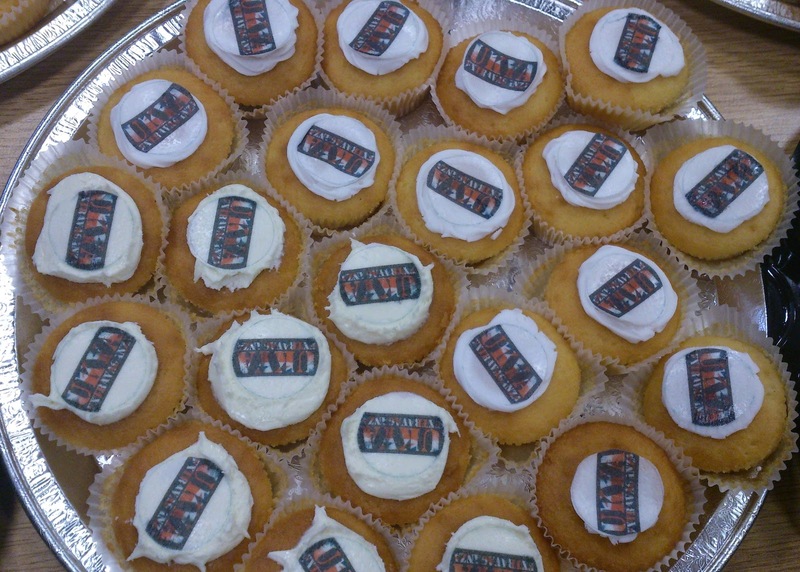 I didn't find the time to stop and eat one! d black), people swapping phones to snap pictures with each other. The infinite ‘I love UKYA because…’ whiteboard also made an appearance, people taking it in turns to share their favourite aspects of the genre. The back wall was crammed with a choice of confectionary to keep our energy levels up, and I was tempted to take some home for the comfort-eating that always ensues when I wake up the next day and realise an event is over. In fact, I probably took more pictures of the plates of food than with actual people! Talking Sleepless and exam stress with debut Lou Morgan. Conversations with authors lasted longer than what would be acceptable - let alone possible - at any other signing event, which made it such a welcoming environment! I discussed the likes of GCSE exam stress with Lou Morgan, whose novel Sleepless I had only discovered earlier that afternoon – and being an author for a living with Anna McKerrow, who was absolutely lovely! I spoke for quite a while about clothes and dressing for comfort with Natasha Ngan, being a fan of both her books and fashion blog, and the support of the UKYA community with almost everyone I came across. In the midst of the panic to get all my books signed, I also managed to meet Emma Pass, Claire Furniss, CJ Daugherty and Kate Ormand, attempting to find everyone before the event came to an end. Everyone was just so friendly! Let's just say that I LOVED UKYA Extravaganza! After YALC, I'll admit I was hesitant heading to this event, but I had such a memorable afternoon. Were you at UKYA Extravaganza? If so, what were your favourite parts of the event? Will you be attending Number Two in October? This event-recap was originally written for the Guardian Children's Books site. You can find the full blog HERE. All pictures used in this post are my own. Next weekend, I'm heading to Birmingham - for the first time in years - to attend UKYA Extravaganza, which will be taking place at Waterstones Birmingham! To celebrate UKYA, and the work of the authors, bloggers and other people within the community, Kerry Drewery and Emma Pass have managed to piece together a line-up of thirty-five authors for the afternoon's events! I spent a few panicked minutes on the phone waiting to hear whether tickets were still available over the phone a few weeks ago, just in time before they sold out(within twenty-four hours of initially going on sale!). As part of the countdown to the event, I'm hosting today's Blog Tour stop with the wonderful Kate Ormand, who is an author appearing at next weekend's event, and one of the cheerleaders for UKYA online. Also, she has an incredible amount of patience when it comes to waiting for questions to be sent by an apologetic blogger! Hi Sophie! Thanks so much for having me! Q. UKYA Extravaganza is next weekend! Now the countdown is coming to an end, what are you anticipating most about the event? A. I'm so excited to meet everybody! I'm looking forward to getting a few of my books signed by some of the other authors too. Q. Since this tour stop is a celebration of all things UKYA, can you share with us a few of your favourite books that fit into this category? A. I LOVE Emma Pass's books, ACID and THE FEARLESS. I recently read 7 DAYS by Eve Ainsworth, which I thought was brilliant. THE SIN EATER'S DAUGHTER by Melinda Salisbury is also a new favourite. VENDETTA by Catherine Doyle is incredible. And I just finished the fantastic SLATED trilogy by Teri Terry. Q. 'UKYA' is a fairly new term to the publishing world. What do you think has made this 'brand' so popular in such a short space of time? A. The people who read it, write it and are passionate about it. Teams like Bookish Brits on YouTube. 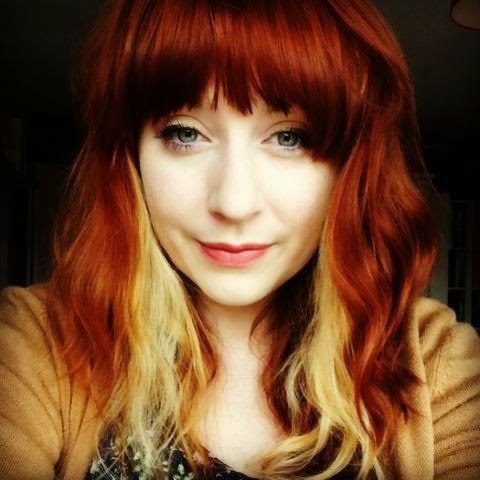 Lucy Powrie has Project UKYA and runs hugely popular Twitter chats that everyone's welcome to. Michelle at Fluttering Butterflies is running a British Books reading challenge this year and always creates UKYA lists on Goodreads. Debbie at Snuggling on the Sofa created an awesome spreadsheet for UKYA this year too! Things like this, and the people behind them, really give UKYA a boost and the love is spreading! Q. As well as being an author, you also co-founded the blog Author Allsorts. 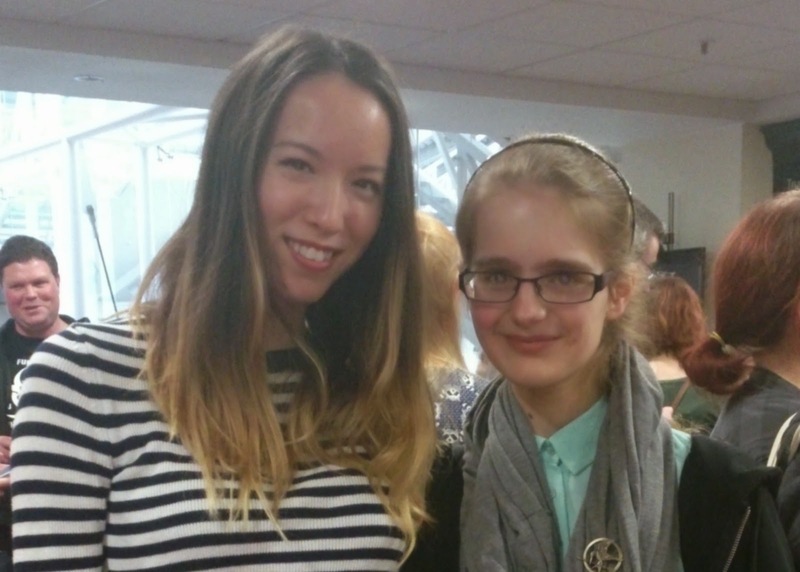 How does it feel to be a part of the UKYA community, both as a blogger and an author? A. I love it! I love reading and talking about books online, so it's nice to still be doing that - if I wasn't, I wouldn't have been able to join in the Scholastic Bloggers' Brunch with you guys last month! Q.Most of the books we see being made into blockbusters are categorised as USYA. Do you think this is a genre UKYA can begin to challenge? A. Definitely! Think of Teri Terry's SLATED or Sally Green's HALF BAD on the big screen - amazing! Q. 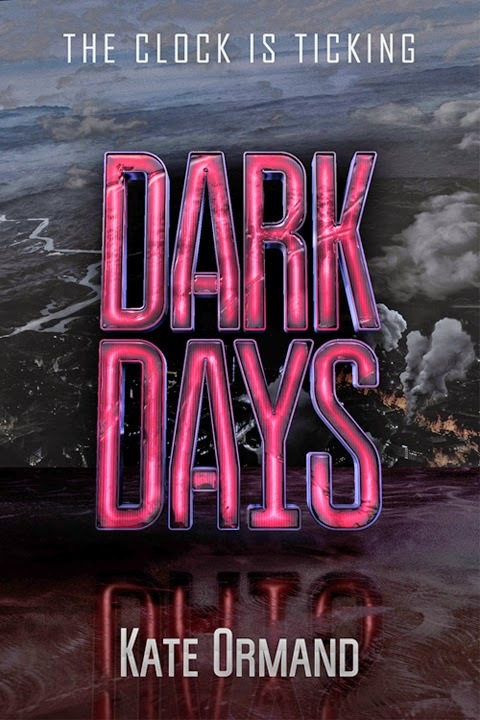 You will be at UKYA Extravaganza to promote your debut, Dark Days, which was released last year. What has surprised you the most about life as a published author so far? A. People reading my books, supporting me, wanting me to write my name on things! Sometimes I don't think about the whole "author" bit, I just write and read and talk about books and go along with my day, then sometimes it hits me and it all seems so surreal and wonderful. I've fallen head-over-heels for the pink font! Q. Dark Days is a dystopia novel where the world has been divided into sectors and the people separated. How did you go about constructing this world? Were there notes, maps, drawings...? A. I did draw a map of the sector and one of the New World to help me when navigating Sia through her setting. I had a lot of notes from reasons for how the world is the way it is in the novel. I always had them all around me at the desk for easy access and making sure I remembered it all on top of everything else! I also have a pinterest board - images are a great source of inspiration to me. Q. Sia, the main character, finds out early on in the novel that she has fifteen days before she gets 'eaten' by cyborgs. How would you react - honestly if you found yourself in her position? I'd be devastated. I wouldn't be able to cope. She's SO much braver than me. And we do see different reactions in the book of how other characters handle the news. Q. I've also just been reading about your upcoming book The Wanderers. Where does the inspiration for the creatures such as the shifters - and the cyborgs featured in Dark Days - come from? A. I thought of the idea for THE WANDERERS when I saw a circus poster on my way to university one day. It was bright yellow, all torn and weathered, and I said, "What if I wrote a circus book where all the animals were shapeshifters?" And then...I did! Shapeshifters feature in plenty of books I've read, so I'm hoping to have given them a unique twists. The cyborgs - I like robots! I'm even playing with the idea for another robot book (but they're not vicious and deadly this time!). Q. Will you be continuing to write UKYA novels? A. Definitely! I love UKYA and I'm so proud and grateful to be a part of it! Thank you, Sophie! Thank you so much for answering my questions, Kate! You can follow the rest of the blog tour, and keep up to date with news about Saturday's event, by using #UKYAExtravaganza! I will be writing a recap sharing my thoughts on the event that will be up on the blog next Monday! Will I be seeing you at UKYA Extravaganza? If not, would you like to see similar events held elsewhere?